Premiere: Ultrademon Gets "Wet Again"
Ultrademon, aka Albert Redwine, released his 2013 debut Seapunk on Aphex Twin&apos;s Rephlex label and quickly followed that up with Voidic Charms the following year. 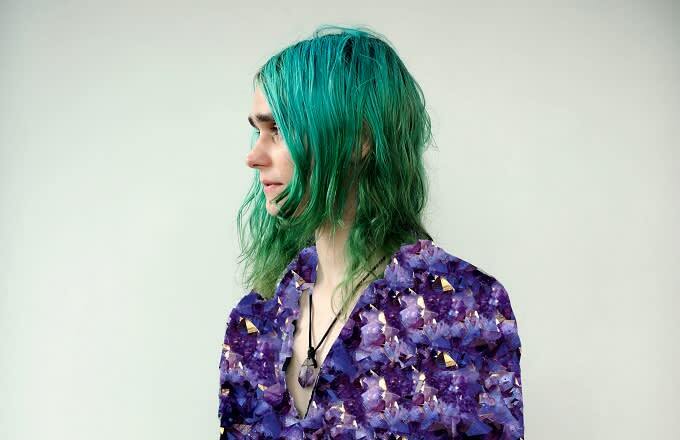 Unlike the term "seapunk", Redwine shows no signs of slowing down and is already preparing to release his third album, Durian Rider. His latest single "Wet Again" is just as wild and exciting as you&apos;d expect from a member of the increasingly excellent Hyperboloid crew (which also counts Pixelord among its members). The clattering percussion and playful use of samples make this equally suitable for the club as it is for your boozy pre-party Spotify rodeo.